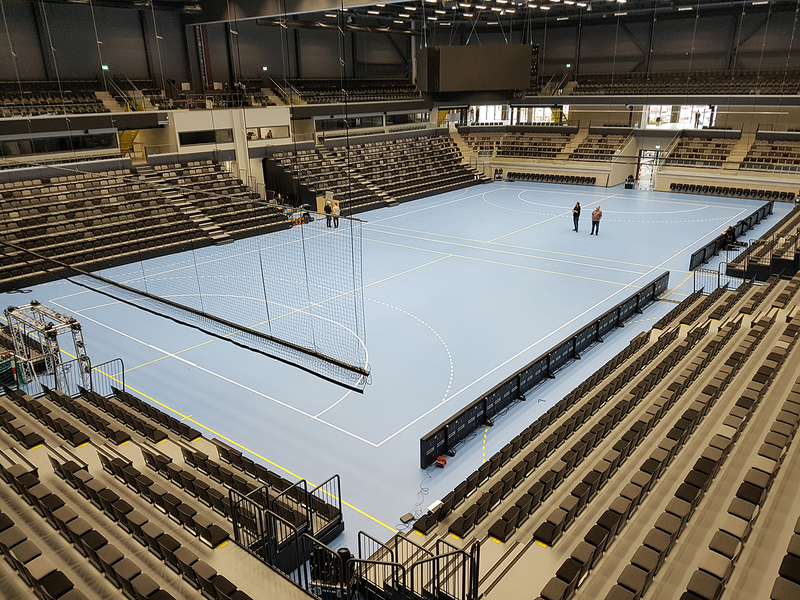 STIGA Sports Arena Eskilstuna, a modern environmentally sustainable construction for sports, concerts and trade fairs. 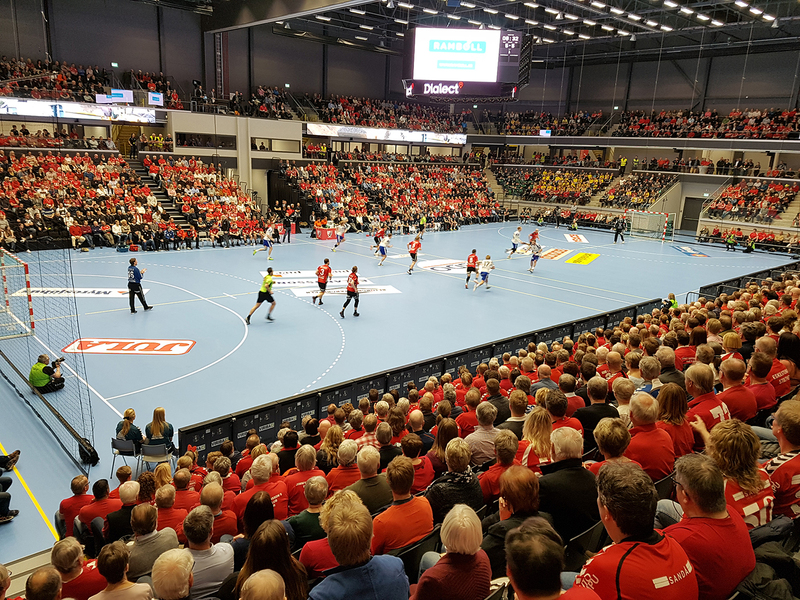 On June 3rd 2017, the new arena will be opened, but already now it is being used for handball by the Eskilstuna Guifs ladies’ team playing for promotion to the premier divison SHE, and the men’s team is participating in the playoff games. 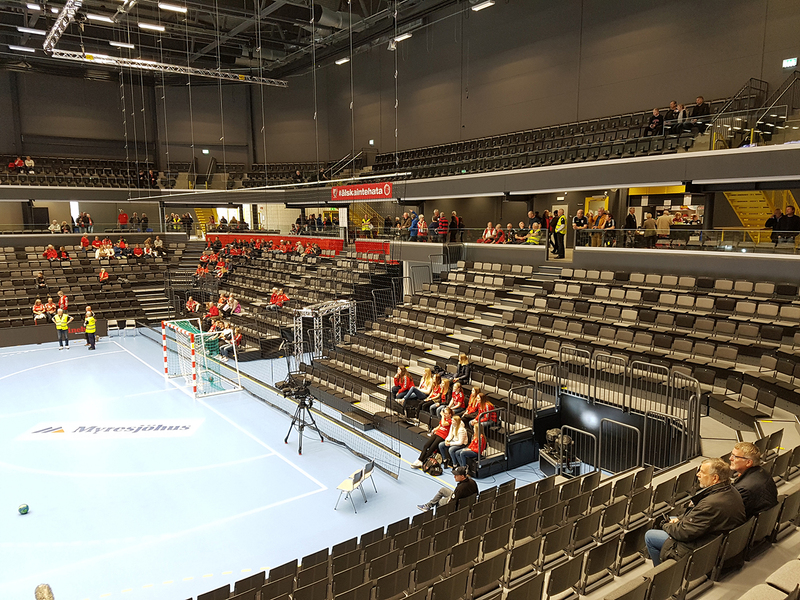 In the arena, Unisport has installed stands, telescope stands and sports floor. The main arena seats 3.700 people. 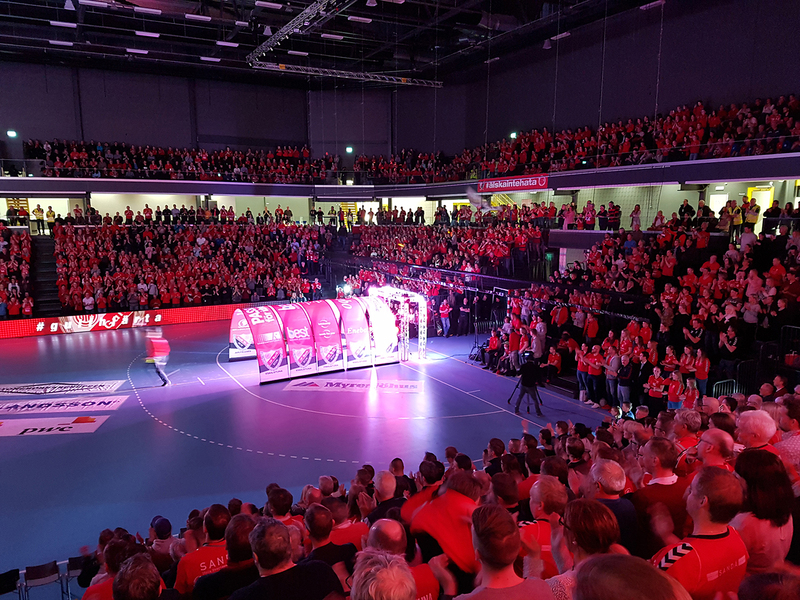 The arena can be split up via telescope stands, and in just a few hours be changed from sports arena to a hall well suited for concerts and other events, with 5.000 seats. The sports floors here are Taraflex Sport Surface 2,1 mm in Hall A, Boen Champion oak-parquet in Hall B and Taraflex Sport M Evolution 7,0 mm in Hall C. The Sports floors in Hall A and C has an underfloor construction, a so called Boflex Champion, capable of handling heavy weights from a. o. the telescope stands or heavier machines that need to be driven into the hall. Both the permanent seats and the seats in the telescope stands are model Goal. The seats in the telescope stands have an automatic up-and down function, which means that the handling is much more effective. To protect the sports floor in connection with other arrangements than sports you have the Crescendo protection floor, a wooden arena flooring that functions as a protection floor. A simple and durable cover system, which easily changes your sports arena into one that can be used for concerts, trade fairs, dancing etc.